You work hard for your clients and their financial future. Ensure they have a plan for future education expenses by offering Learning Quest. With the realities of rising college costs and student load debt, offering a 529 plan boosts your value proposition. Deepens Relationships. You offer a comprehensive plan and help solve for one of life's most important goals - sending their kids to college. Protects your client base. Ensure your clients' college savings needs before they look elsewhere for advice. Solutions beyond education savings. 529s offer strategies for tax and estate planning. 529 plans are a unique tool for tax and estate planning (e.g. accelerated gifting) and overall wealth management. Anyone can use a 529 plan to save for higher education expenses, so think beyond parents. Grandparents, aunts and uncles, friends, or even the future student can open an account - all great leads for multigenerational planning. You can promote 529s as an investment vehicle for your existing client base and to attract prospective client. IRS Circular 230 Disclosure: American Century Companies, Inc. and its affiliaes do not provide tax advice. Accordingly, any discussion of U.S. tax matters contained herein (including any attachments) is not intended or written to be used, and cannot be used, in connection with the promotion, marketing, or recommendation by anyone unaffiliated with American Century Companies, Inc. of any of the matters addressed herein or for the purpose of avoiding U.S. tax-related penalties. No additional gifts can be made to that beneficiary over the next four years after the year in which the one-time gift is made. If the donor of an accelerated gift dies within the five-year period, a portion of the transfered amount will be included in the donor's estate for estate tax purposes. Consult with a tax advisor regarding your specific situation. 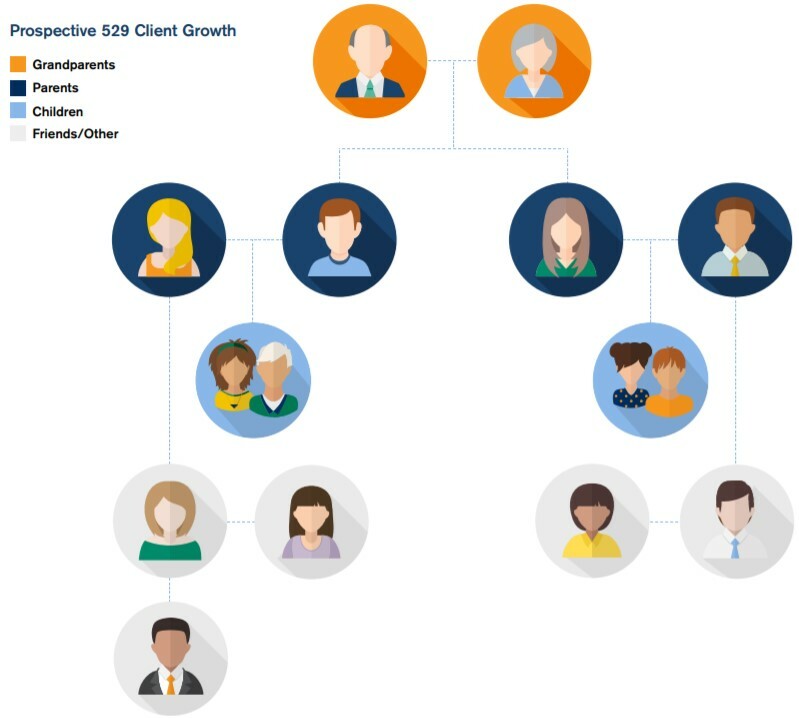 Make 529s a part of your routine client discussions. Remind clients of the reality of the need to save for college and the benefits of starting early. According to an Aon Hewitt 2017 survey, 49% of employees spend time at work on personal finances. Financial wellness is important to your employees, and you're likely helping them save for retirement. Why not help them with another of life's important goals - sending their kids to college. No added costs. No administrative fees or ongoing charges for you to offer Learning Quest. No paper shuffling. Learning Quest is available for employees to open an account online. Turn-key communications. Materials are available to help you communicate the new benefit to your employees. Personalized service and support. A consultant is available to help you along the way and can conduct onsite meetings or webinars to educate employees. Call 877-345-0909 for your personalized rollout plan. Your employees can call our Learning Quest team toll-free at 800-579-2203 for account help and questions.